The rattlesnake bite is hemotoxic, meaning that the venom quickly begins to affect the animal’s ability to clot its blood. Decreased clotting factors can cause uncontrolled bleeding and can lead to shock, and ultimately to death. Swelling often occurs quickly around the bite site, however the severity of swelling does not always correlate with the severity of systemic effects. 1. When you encounter a rattlesnake, remain calm and do not panic. 2. Look immediately around to find out where the snake is located, and give the snake plenty of space. If your pet is in hunting mode or moving towards the snake, restrain your pet without putting yourself in danger. 3. With your pet, slowly back away out of striking distance (which is at least half the snake’s length). 4. DO NOT attempt to handle the snake or kill the snake. 5.If you’re hiking or in a public area, alert others about the snake’s location. 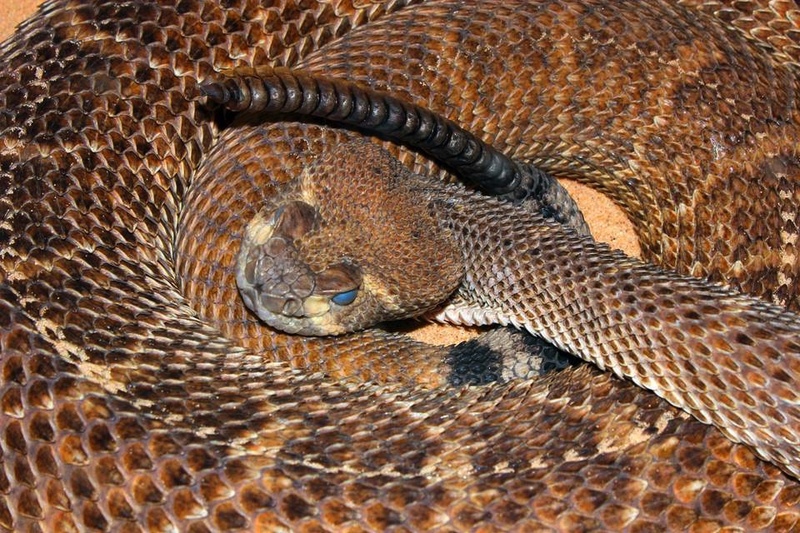 Animals suspected of being bitten by a rattlesnake should have immediate veterinary attention. Severe pain may cause your pet to snap or bite. Use caution when approaching the affected area. Do not attempt to treat the wound. If possible, immediately transport your pet to your Veterinary for assessment and antivenin treatment. DO NOT delay in seeking veterinary assessment and treatment. It can be up to 18 hours before signs become apparent. Antivenin is most effective if given within the first 24 hours. Watch for swelling of the face and neck — collars can become too tight, making the swelling worse. Further treatment options can be discussed with the pet owner and family veterinarian.